At this island crêperie with sea view, you’ll discover that “crêpes are the base and from then on...” almost anything is possible. The crêpes and galettes (savoury buckwheat pancakes) here are made from the freshest of ingredients. 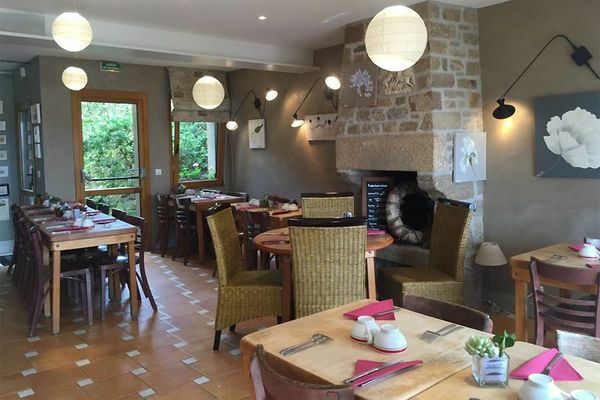 You'll also find "to order, lobster stew, crab, kig ha farz (traditional Breton stew) and every Thursday evening moules frites (mussels and chips)." 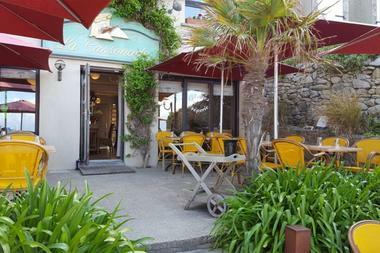 So what else does this fisherman's house with seafront patio, called La Cassonade, have to offer? Savoury buckwheat pancakes of course - and organic ones to be precise - dressed with home-grown vegetables or those from local producers near Saint-Pol de Léon. “We try to put vegetables with everything”: leeks, salads, beetroot, potatoes and shitake mushrooms accompany the salmon and sausages. For dessert, try a sweet crêpe topped with apple tatin, cinnamon ice cream with whipped Chantilly cream.